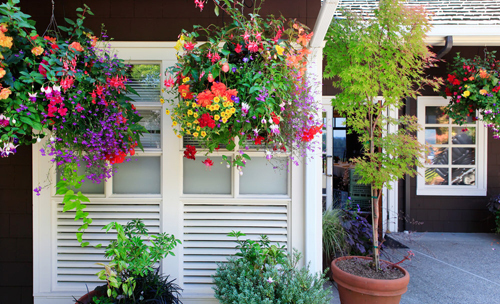 Have you ever seen a hanging flower pot over flowing with colorful flowers that you didn't just love? 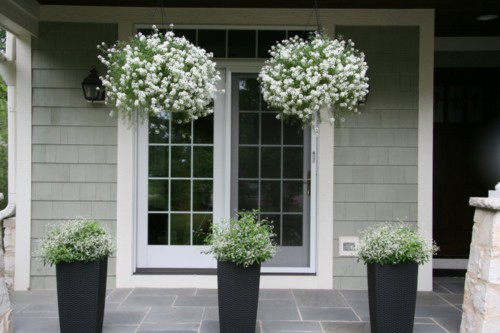 They are some of the most stunning and decorative flower pots you can display. 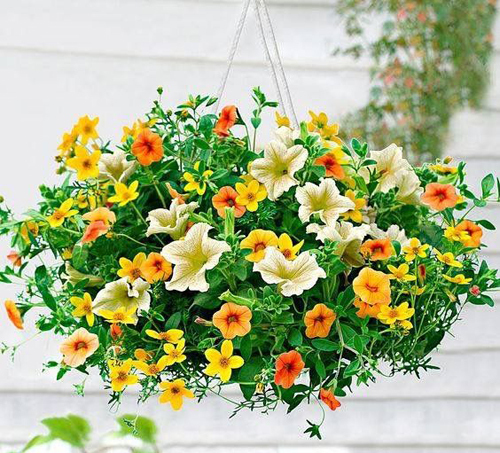 There are many types of hanging baskets & planters that you can purchase from your local nursery or right here at Arizona Pottery. We sell a poly resin light weight garden bowl that is durable, comes in 32 colors, hangs from a tri-chain and is available in 5 large sizes. You can create a nice display or go with our huge size and create a display that can't be rivaled by anyone else. At 25" round this baby is huge. Because our light weight hanging pots are custom made for you, you get to decide if you want a drain hole or not. This is good for deciding on where the pot will hang. Do you want it draining over a patio chair. Probably not. So we give you a choice. After you decide on what container you are going to use, it's time to think about potting soil & water needs. Purchase a nice potting soil meant for flowers. This way you will have the best chance of a colorful display. When it comes to water, make sure you keep the soil moist but not damp. So you will need to water every day. Since the pot is hanging, the circulating air will cause the soil to dry out faster than a normal garden pot. Then select the types of flowers, bulbs, trailing ivies, succulents, cactus or evergreens that you want to display. We suggest mixing them up to create a greater effect. 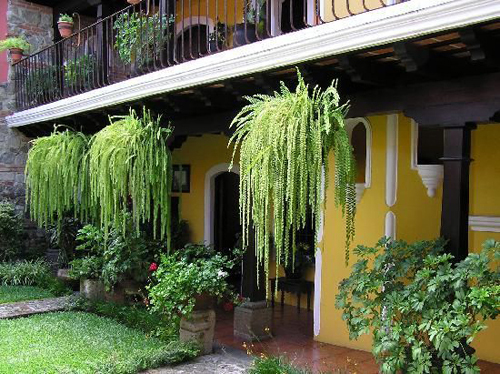 Plant one hanging planter with all colorful flowers, another with a lush green fern and so on. Try to plant the center first and move around to the outside of the pottery. Try a small palm in the center shooting up, surround with colorful flowers and end the outside with trailing vines. Now pick where they will hang. Off a wall, on a fence post, along the railing on a porch. Place there where they can get some sunlight and if you have drain holes where they won't drain onto a chaise or chair. If you have a seating area on your patio try placing them around the outer edge so people are hitting their heads on them or the planters aren't draining where people will walk and possibly slip. It sounds like a lot to remember but the main point is to create something wonderful. Lots of color, fragrance & visual beauty! You will not regret adding a couple of hanging planters to your garden pottery display. Good Luck! 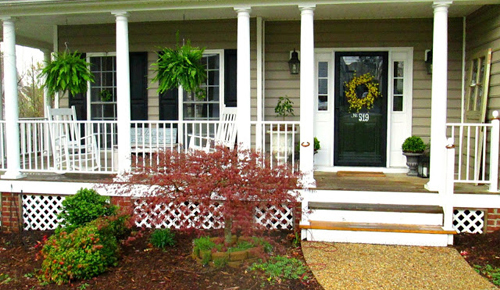 [Read More] Art on the patio or porch.